Your compliment slips says a lot about your company, our quality compliment slips will create the image your company needs to succeed. 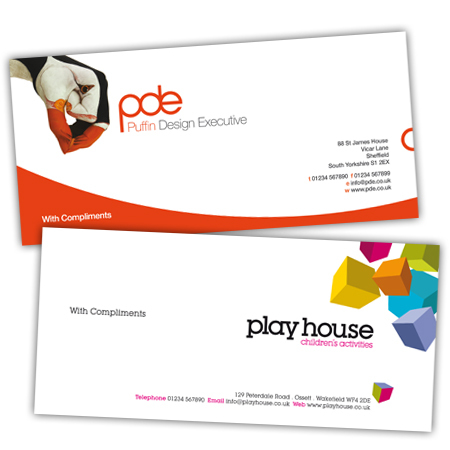 If your compliment slips look ‘home printed’ what sort of image does this give your company…? 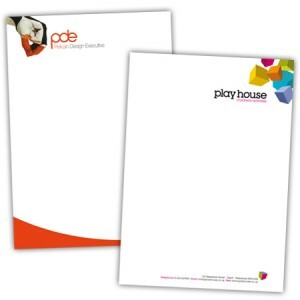 We print full colour onto 120gsm laser quality brilliant white premium paper. What do I use a with compliments slip for? Traditionally, with compliments slips are generally enclosed with documents, products, catalogues when either requested or purchased by a consumer or client. They are also most commonly used for routine requests to automate the client relationship management process. A compliments slip leaves a personal touch with the consumer or client by creating a more human interaction. By doing so, you can help build brand loyalty, foster working relationships by showing your genuine side. What size are with compliments slips? There is no one set size as it all depends on what type of with compliments card you prefer. They can range from a business card to A4 size, but generally a standard with compliments slip is 210mm x 99mm. This size is usually recommended because it fits inside an envelope without having to be folded and because it larger than a business card size it’s easily seen when included in a parcel. printingwales.com has been supplying printing for over 10 years so you can rest assured you are buying from an established printing company in Cardiff. We specialise in all types of full colour compliment slips including cheap compliment slips and 120gsm premium compliment slips.